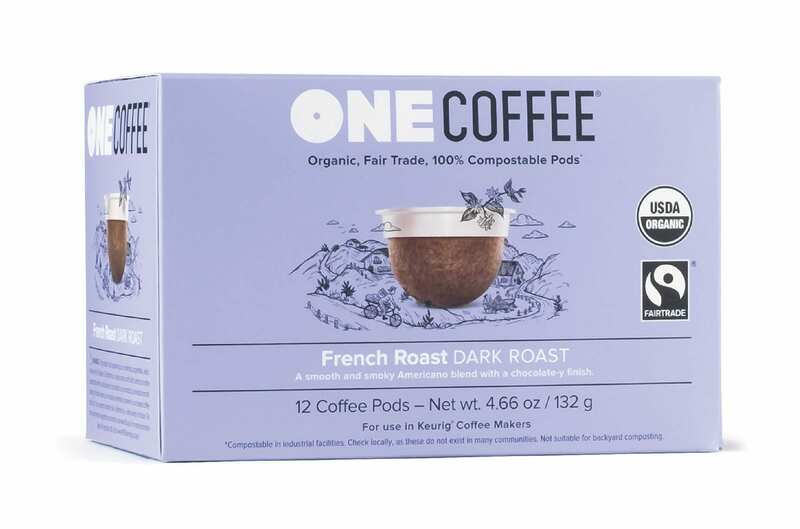 This smoky French roast has notes of caramel and dark chocolate. Its low acidity and intense smooth flavour awaken the senses and offer a rich, dark finish. 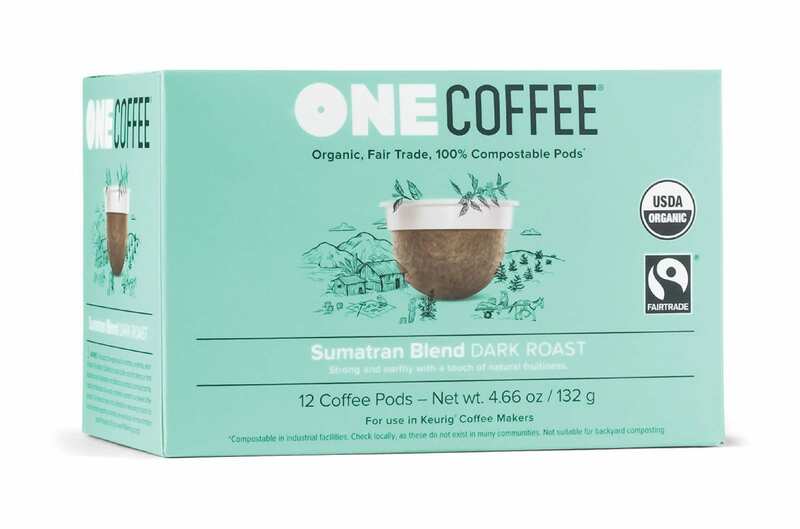 12 pods per box (in a compostable bag). 18 pods per box (individually wrapped, not shown). 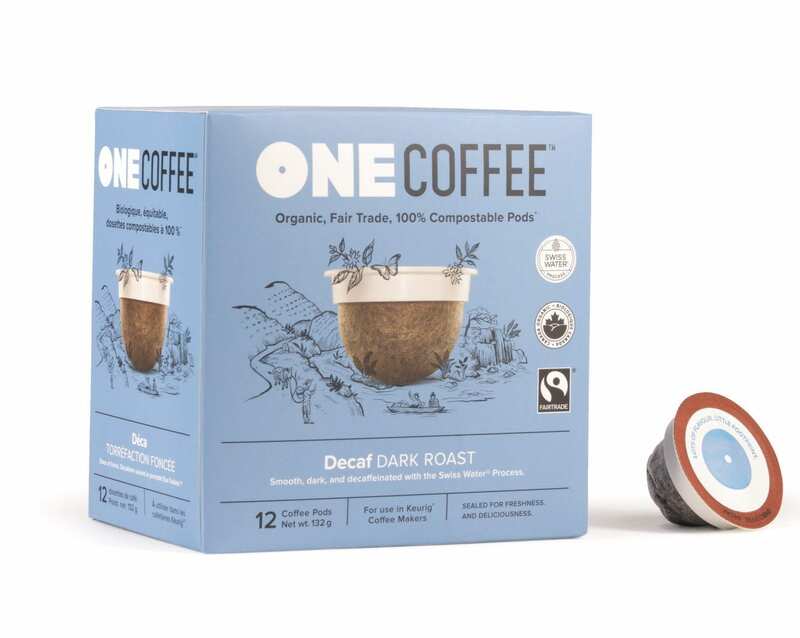 FOR USE BY OWNERS OF KEURIG® COFFEE MAKERS. READ OUR FAQS FOR COMPATIBILITY DETAILS. 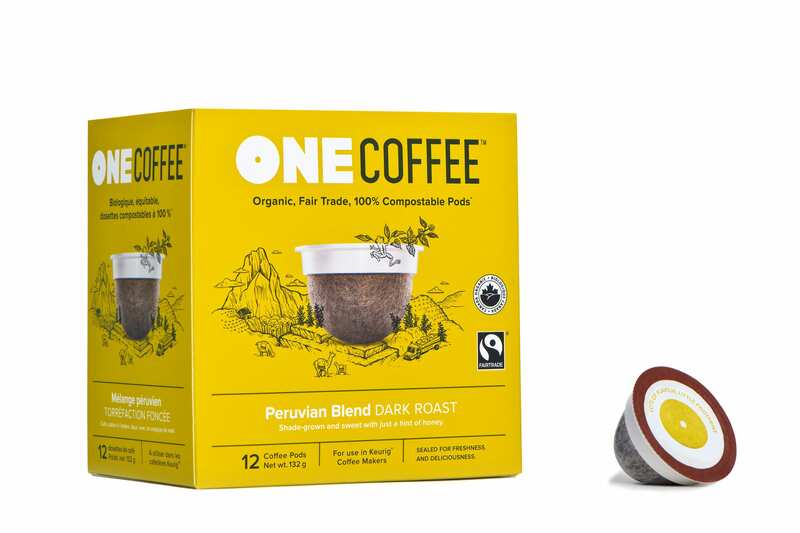 ONECOFFEE™ HAS NO AFFILIATION WITH KEURIG INC. OR K-CUP®.